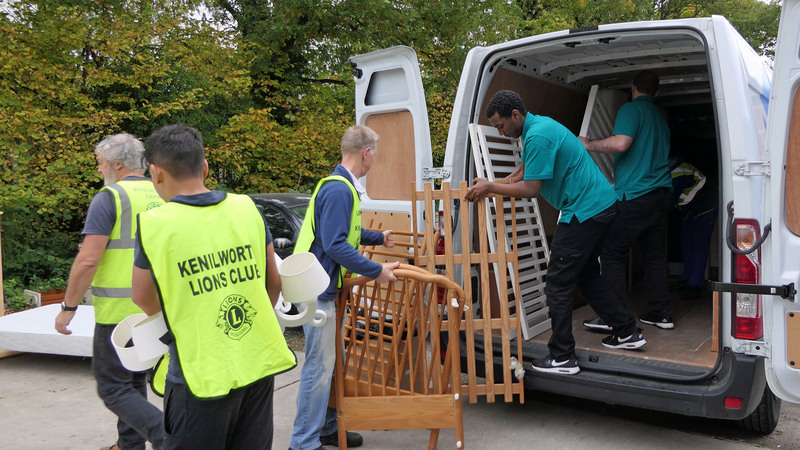 Regular visitors to the Lions’ Furniture Store in Farmer Ward Road this year have been volunteers from the ‘Helping Hands for Syria’ charity, collecting donated beds, walking aids and many other items to enhance the lives of those living in the refugee camps in Syria. The initiative came from a Coventry University Hospital doctor, himself a frequent visitor to the Store, who approached Kenilworth Lions to ask for our support. 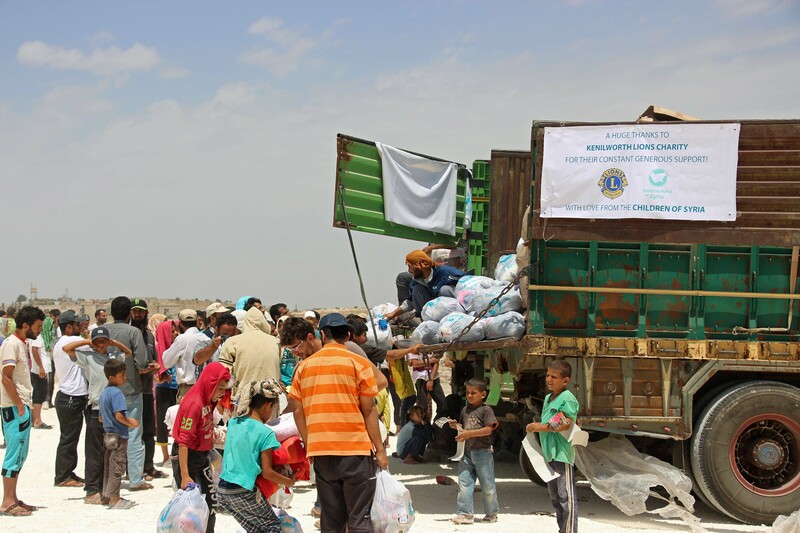 We were delighted to be able to offer practical help and support to a charity doing such wonderful work to help the many innocent victims of the Syrian conflict. 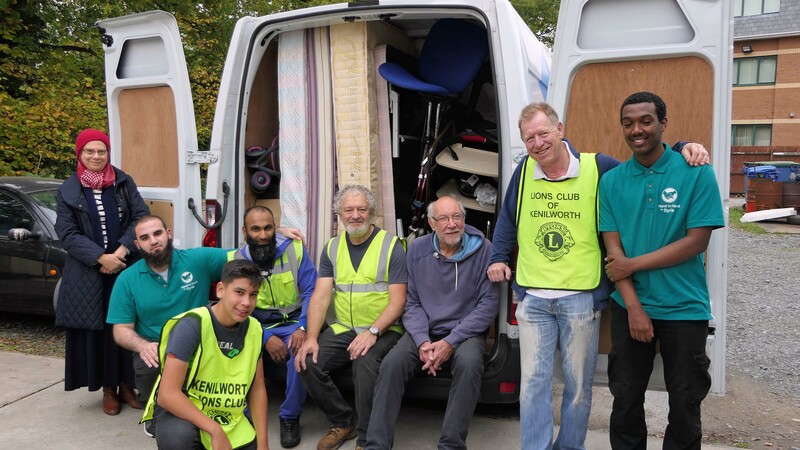 We’ve now received photos of the latest donated consignment being distributed in one of the refugee camps in Aleppo, with the lorry displaying a banner recognising the support from Kenilworth Lions. This is an ongoing arrangement which the Lions will continue to support for as long as the need remains.